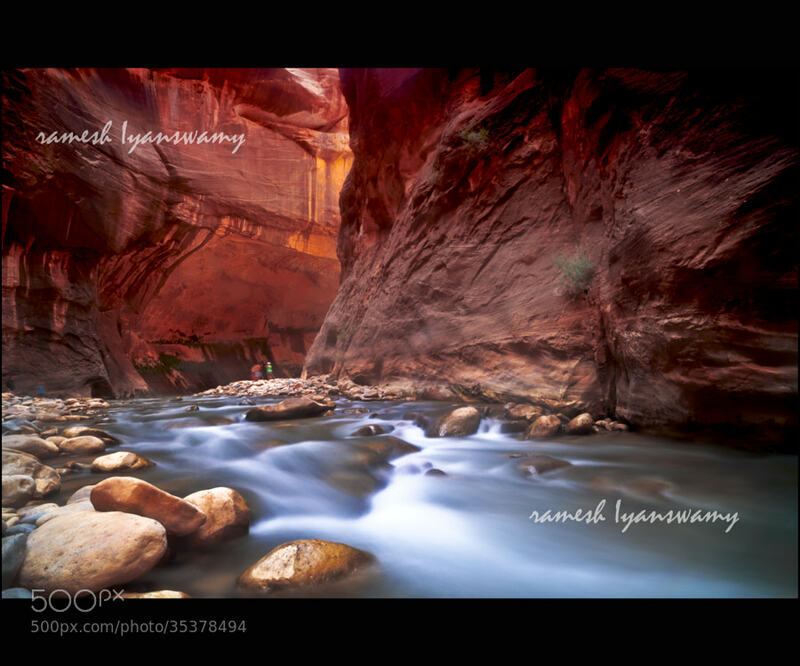 We found this image of the Narrows that is just stunning and we couldn’t resist sharing. The Narrows is one of the more popular hikes in Zion but as you can see there’s a really good reason why. If you’re coming to hike the Narrows then you’ll probably want a place to rest afterwards, that’s where we come in! I had the chance to go mountain biking in Zion National Park the other day and didn’t realize how much fun I was in for. I began my journey just outside of the park in Springdale where they have a new bike lane on the side of the road. I rode past many of the restaurants and bed and breakfasts that are along the road in Springdale including Bumbleberry, and then got on the Pa’rus trail. The Pa’rus trail begins right past the pay station in Zion and weaves its way up through the campgrounds. It also follows the Virgin River for the majority of the way. In fact there are a handful of bridges that take you to the other side of the river several times, which only add to the beauty of the trail. If you have time you’re going to want to stop and go down to the river, as it offers some great places to go swimming and playing in the water. Some places along the river are as picturesque as you can find anywhere in Zion. If you continue on the trail you’ll soon reach (after crossing several bridges) the end of the Pa’rus trail, and there you have to make a choice, continue heading up towards the Narrows, or head up towards the tunnels. I chose to head towards the Narrows. I debated hitching a ride with one of the buses that go that way but decided against it, and I have to admit that was a wise decision. Because you see going up and coming down gives you two different angles of the canyon, it gives you two canyons of sorts. As well since I rode my bike up I also found an offshoot waterfall with a little deck on it that I would have not noticed had I taken the easy way up. Soon I found myself nearing the lodge and the trees grew taller and provided a lot of shade, which made for just a cozy feeling as I rode. I continued up and kept finding myself straining my neck to look up at the canyon walls that were before (and above) me. I reached the top (the Narrows trail head) drank some Gatorade and then began the most fun part of the trip, the ride down! It was so much fun flying down those Zion Canyon roads with only the occasional bus to distract me from the road. It really was a different canyon than the one I’d seen riding up. All in all it was a great trip and one you should take if you get the chance. As the sun was beginning to finalize its retreat I was back on the Pa’rus trail, and found that the fading light made the trail a pleasant and beautiful end to a great day.